Caffeine is the world’s most popular stimulant and it can be found in a wide variety of natural sources and everyday beverages. Some people believe that caffeine consumption can promote weight loss. Is this true? If true, how does caffeine promote weight loss and what are the dangers? Read on to find out. Caffeine is a xanthine alkaloid and the most commonly consumed stimulant. It occurs as white crystalline solid, bitter in taste. It is widely found in nature and can be extracted from the leaves, seeds and fruits of a variety of plants. The most popular plant sources of caffeine include tea leaves, coffee seeds, kola nut, guarana and yerba mate. Caffeine is common ingredient of beverages. Besides tea and coffee, this stimulant can also be found in energy drinks and soft drinks. Caffeine is a legal psychoactive drug. It produces its stimulatory effect in the central nervous system. Although it is toxic at high doses, regular but modest consumption of caffeine actually has more benefits than negative effects. Apart from acting as a centrally active stimulant, caffeine also has a diuretic effect. Therefore, it can promote water loss. This effect is needed when treating edema or getting rid of water weight but it can also cause dehydration. The diuretic effect of caffeine gradually wanes in regular consumers. This effect is known as tolerance. In addition, when tolerance develops the ability of caffeine to cause dehydration may diminish. Other effects that can be lessened by tolerance is sleep disruption. Regular consumption of high doses of caffeine may turn tolerance into physical and mental dependence. When dependence develops, sudden discontinuation of caffeine will produce withdrawal symptoms such as irritability, loss of mental focus, headache, insomnia, drowsiness, body pains and stomach upset. These symptoms may worsen and develop into anxiety, depression, nausea, vomiting and intense cravings for caffeine. Besides beverages and specialized drinks, caffeine is also available commercially in other forms. Caffeine pills deliver pure caffeine and can produce more intense effects than caffeine-containing drinks. Other dosage forms include aerosols and strips. Most of the effects of caffeine in the body is produced through the inhibition of adenosine. Adenosine is a freely circulating compound found throughout the body. The interaction between caffeine and adenosine happens primarily in the brain. In the central nervous system, adenosine protects the brain by reducing neural activity and increasing blood flow. Essentially, it is an inhibitory neurotransmitter in the brain. When caffeine antagonizes adenosine in the brain, it increases the activities of other neurotransmitters such as norepinephrine, epinephrine, acetylcholine, dopamine, serotonin and glutamate. To produce these effects, caffeine crosses the blood-brain barrier easily because it is water-soluble and lipid-soluble. Outside the brain, caffeine increases the utilization of fat to generate energy while decreasing glycogen utilization. This means that caffeine burns fat but does not increase blood glucose levels. By burning fat, caffeine provides extra energy to fuel mental and physical performance. Because it increases the level of epinephrine in the body, caffeine converts body fat and the triglycerides found in muscles to free fatty acids. This leads to increased fat oxidation. The energy obtained in this way means that the glycogen stored in the muscles are spared. Furthermore, because caffeine is a stimulant it reduces the perception of effort to work those muscles. All of this translates to weight loss through fat burning without resorting to muscle wasting (by sparing glycogen in muscles) and without the fatigue associated with exercising those muscles to burn the fat. 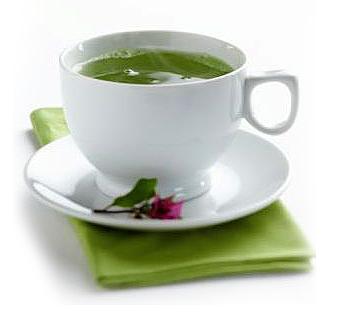 A 2005 study published in the journal, Obesity Research investigated the benefits of a mixture of green tea and caffeine in weight loss and maintenance of weight in obese subjects. This randomized, placebo-controlled study recruited 76 overweight and moderately obese subjects who were habitual caffeine consumers. In the first 4 weeks of the study, the subjects were placed on a very low caloric diet. The next 3 months was billed as the weight maintenance period and during that time the subjects either got a placebo or a green tea-caffeine mixture. The study found out that the subjects who habitually consumed high caffeine experienced more weight loss, reduced fat mass and smaller waist circumference than those who took low caffeine. In this low caffeine group, the green tea-caffeine mixture given during the maintenance period further helped the subjects lose more weight, fat and waist circumference. However, the high caffeine group did not benefit more from green tea-caffeine consumption. This study shows that regular and high caffeine consumption can significantly lead to weight loss through fat oxidation and thermogenesis. In addition, those who consume low amounts of caffeine can still benefit from taking more. In a 2002 study published in the International Journal of Obesity and Related Metabolic Disorders, the combination of ephedra and caffeine was investigated for long-term safety and efficacy in achieving weight loss. The study involved 167 subjects and 2 research units. The ephedra used was taken from the herbal supplement Ma Huang while the caffeine was obtained from kola nut. Therefore, each of the subjects received either placebo or 90 mg ephedrine alkaloids plus 192 mg caffeine. This study took 6 months and the results showed that the ephedra/caffeine combination promoted weight loss and fat loss as well as improved blood lipid profiles without causing any serious side effect. These results were also confirmed by a similar study completed in 2001 and published in the journal, Obesity Reviews. A third similar study published in 2002 in the same journal as the first ephedra/caffeine study, International Journal of Obesity and Related Metabolic Disorders built on that study by investigating the possible cardiovascular side effects that may occur from combining ephedra and caffeine. In this study, 27 healthy obese adults with ages ranging from 21 to 60 years were recruited. Each of them either took a placebo or Xenadrine (a commercially available weight loss supplement packing ephedra and caffeine). After 14 days of supplementation, the subjects’ heart rate, blood pressure as well as EKG (electrocardiogram) and Doppler echocardiogram readings were taken. The results showed that there were no significant differences between these cardiac output results between both groups. In addition, the readings taken before the study were comparable to those taken after supplementation. This study demonstrates the safety of ephedra/caffeine supplementation as a weight loss combination. Contrary to popular belief, this combination produces no noticeable cardiovascular side effects. Does Caffeine Cause Weight Loss? Most studies seem to agree that caffeine consumption can help achieve weight loss. There are 3 main theories suggested to explain this effect. Fat burning – This is the most commonly suggested reason for the weight loss experienced by people who regularly consume caffeine. Caffeine is a thermogenic agent known to specifically drive fat metabolism and the recruitment of free fatty acids for generating the energy needed to meet the stimulatory effect it produces in the body. Caffeine increases the secretion of epinephrine, improves mental focus and reduces fatigue. To meet all these energy expenditure, it burns fat instead of glycogen. Water loss – Caffeine is also a diuretic agent. Therefore, it can help those whose weight are due to water retention. By inhibiting the reabsorption of water in the kidney tubules, caffeine increases urine volume and dehydrates the body. Therefore, caffeine can be used to shed water weight. Appetite suppression – It has also been shown that caffeine can suppress appetite. This effect is, however, brief and it is not clear if it is enough to contribute to weight loss. Even though there are at least 3 possible ways that caffeine can promote weight loss, none of them are especially significant. First, for caffeine to function very well as a thermogenic agent, it has to be accompanied by some physical activity. If caffeine can burn fat without the need for exertion, then the sheer number of caffeine consumers in the population would have translated to a healthier, fitter population and not rising obesity. 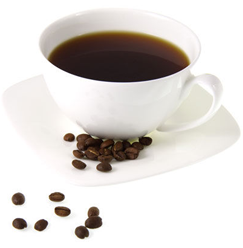 As a thermogenic agent, caffeine is reported to increase metabolic rate by 4 – 5%. Can such modest increase translate into measurable weight loss? Unlikely, especially given that increased metabolism can also boost appetite. Most people who experience weight loss with caffeine report taking it before their regular exercise regimen. Most of these people are also on restricted, healthy diets. Therefore, it is difficult to determine how much of the experienced weight loss is due to caffeine and not the well-studied and proven combination of physical exercise and healthy diet. In addition, there have been studies in which decaffeinated coffee produced some modest weight loss. This calls into question the role of caffeine in weight loss. Secondly, the diuretic effect of caffeine is only effective for people with water weight or edema. Most weight gain is due to fat accumulation and not water retention. Therefore, it is unlikely that the diuretic effect will benefit many obese people. In addition, the diuretic effect of caffeine becomes less significant in regular consumers. This is due to the tolerance the body develops to regular ingestion of caffeine. Therefore, while there are indications that caffeine can cause weight loss, most studies involve caffeine combination with other weight loss supplements such as ephedra and green tea or lifestyle changes such as a healthy dietary regimen and regular physical exercise. It is most likely that the role of caffeine in weight loss is not as significant as commonly believed. However, since moderate consumption of caffeine is safe and does have healthful benefits, it can be used as part of your weight loss plan. It should not form the mainstay of such plan. Lastly, you should be careful of which caffeine source you use. Caffeinated beverages including soft drinks and some coffee drinks may include high caloric substances such as high-fat milk and sugars. These caffeine sources may end up contributing more bulk to your weight than the included caffeine can take off.